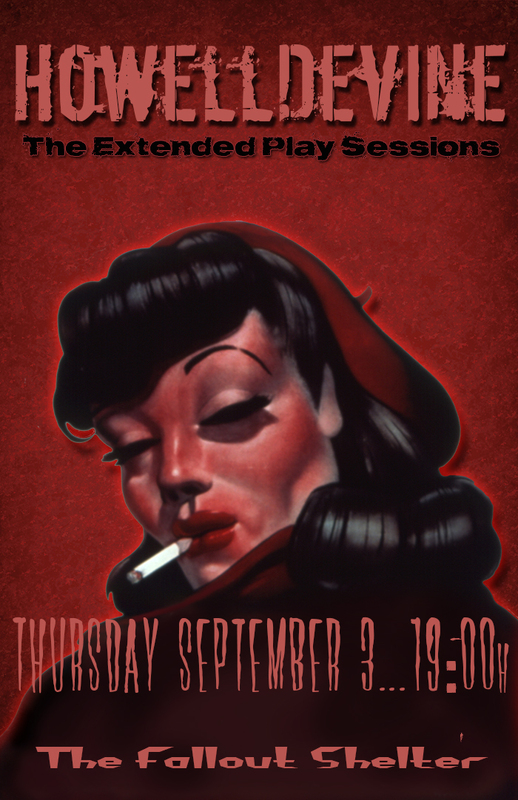 There have been many wonderful bands and memorable occasions at The Extended Play Sessions at The Fallout Shelter, and the next event will add to the list. HowellDevine is bringing their brand of Delta blues to the Sessions on Thursday, September 3rd. If you are interested in attending this event on Thursday, September 3rd, there are still a small number of seats available and will be confirmed via email. Doors are at 6:00 pm with the show at 7:00 pm and you can be included by contacting them via e-mail at studioconcertseries@gmail.com. Confirmations including the address of the venue are issued on a FIRST COME basis. Once confirmed, your seat is reserved. Once you contact us via email, you will receive an invitation. Note this is NOT a public event – you must have an invitation. The Extended Play Sessions at The Fallout Shelter is located just 30 minutes from downtown Boston in Norwood, Massachusetts (minutes off I-95 and Route 1) and has free parking right outside the doors! The $25 donation includes good food and an open bar! Oh, you and about 39 other people will receive a poster that the artist will sign to hang on your wall! Posted on August 26, 2015, in concert announcements, music, Uncategorized and tagged blues music, boston, concert announcement, Delta blues, Extended Play Sessions, HowellDevine, music, The Fallout Shelter. Bookmark the permalink. Leave a comment.